When is the last time you were able to show off your smile? Today there are many options for a smile makeover. Smile makeovers improve your smile, confidence and dental health. 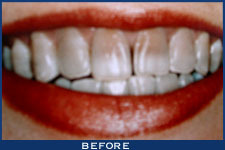 Sea-Tac Family Dentistry is the home of smile makeovers. We use porcelain veneers to brighten the look and shine of your teeth. Tired of stained teeth? Give them an oral face lift with our teeth whitening process. When periodontal disease has damaged your mouth, don’t lose hope. We can help with cosmetic periodontal surgery. Getting a smile makeover from Dr. Yeh will allow you to work and live with confidence. You won’t have to hide your mouth when talking to other people. Contact us for your smile makeover consultation! What are the smile makeover benefits? Did you know over 75% of people don’t feel confident about smiling in a photograph? And 45% of people make a judgment about others based on their smile. Let Sea-Tac Family Dentistry gives you a new smile. Smile makeovers straighten your crooked teeth with Invisalign braces. You’ll get a smile makeover to repair chipped or broken teeth. Have missing teeth? We can replace them with dental implants. Smile with confidence. Contact us to learn more about our smile makeover benefits.